Spain is one of the most popular travel destinations in Europe, and rightfully so. Spain has beaches, mountains, beautiful architecture, delicious cuisine, and incredible nightlife, all at a reasonable price when compared to other western European countries. While there’s so much do do and see in Spain, the difficult part comes in deciding on what to do for one week in Spain. 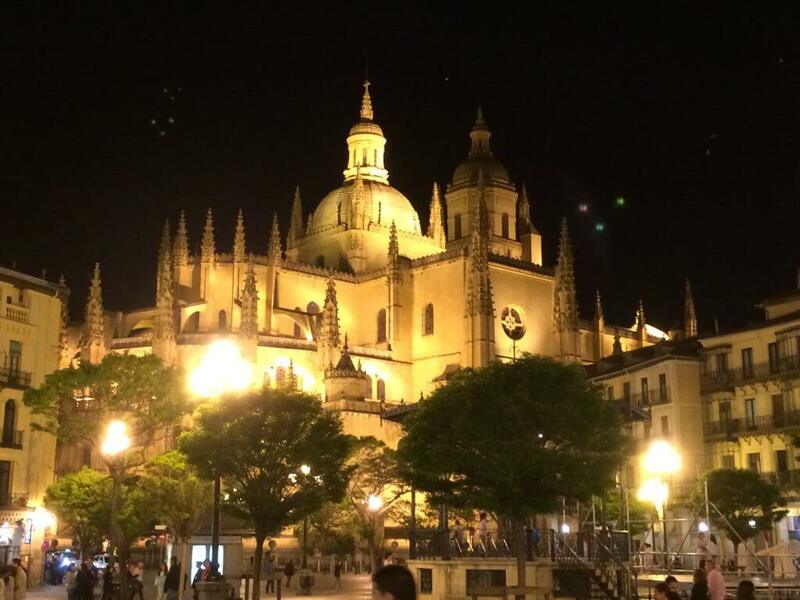 Luckily, we’ve put together this 1 Week Itinerary in Spain for Madrid, Segovia, and Toledo. 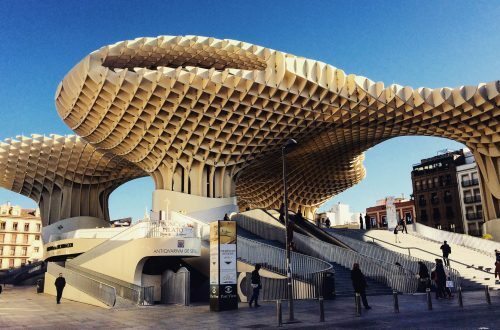 This 1 week itinerary in Spain is ideal for those flying in and out of Madrid who won’t have a car and don’t want to spend a lot of time traveling between cities in Spain. You’ll get to experience everything Madrid has to offer as well as see other beautiful parts of Spain. When arriving in the Spanish capital, you can get comfortable and not have to worry about traveling again immediately because you’ll be spending the first few days here. Madrid is one of our favorite cities in the Spain, but also in the world. There’s so much to do in the bustling capital, so you’ll be staying busy during your days here. Madrid has everything from art museums to historic sites and awesome neighborhoods to delicious food. We recommend checking out the Prado Museum and the Reina Sofia Museum if you’re into art. Both are some of the best museums in the world. If art museums aren’t really your thing, it’s still probably worth checking out one. In this case, we’d recommend going to the Reina Sofia because it’s free Monday though Saturday (except Tuesday when it’s closed) from 7-9 p.m. or Sunday from 1:30-7 p.m. There will be a bit of a wait, but it’s worth it to see the fantastic collection of art. 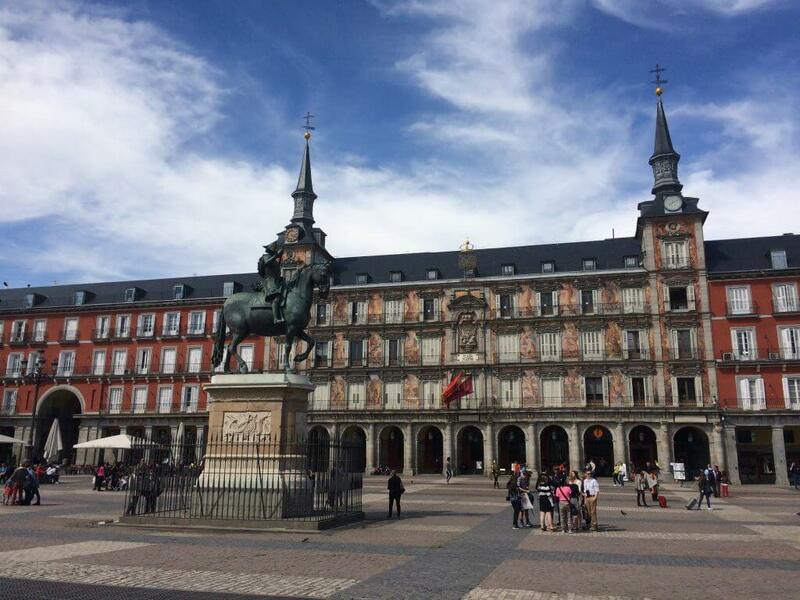 Aside from checking out the art museum(s), check out the major places to see in Madrid, like the Plaza Mayor, Puerta del Sol, Plaza de Ciebles, Palacio Real, and the Templo de Debod. 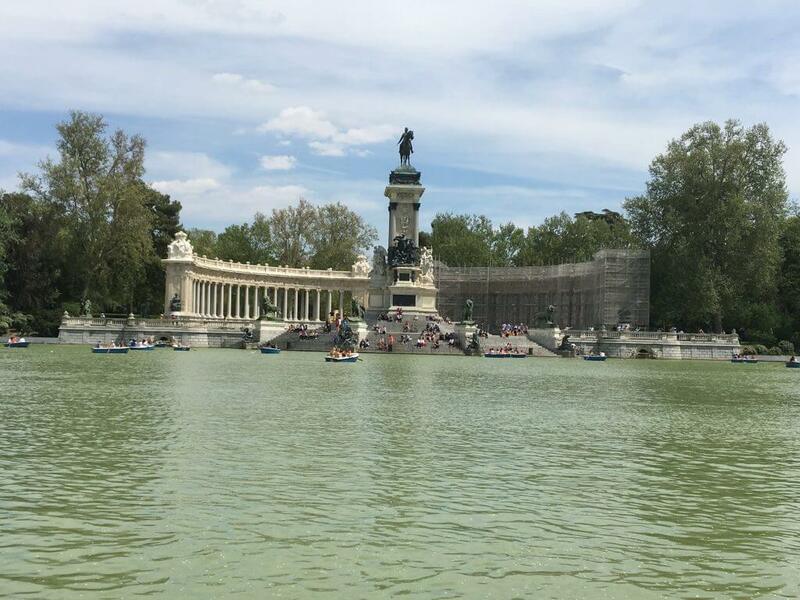 All of these places are along the same basic route that extends from the area by the Prado and Reina Sofa and stretches to the Templo de Debod. It’s a long walk between the two but allows you to see a lot of the central part of the city. 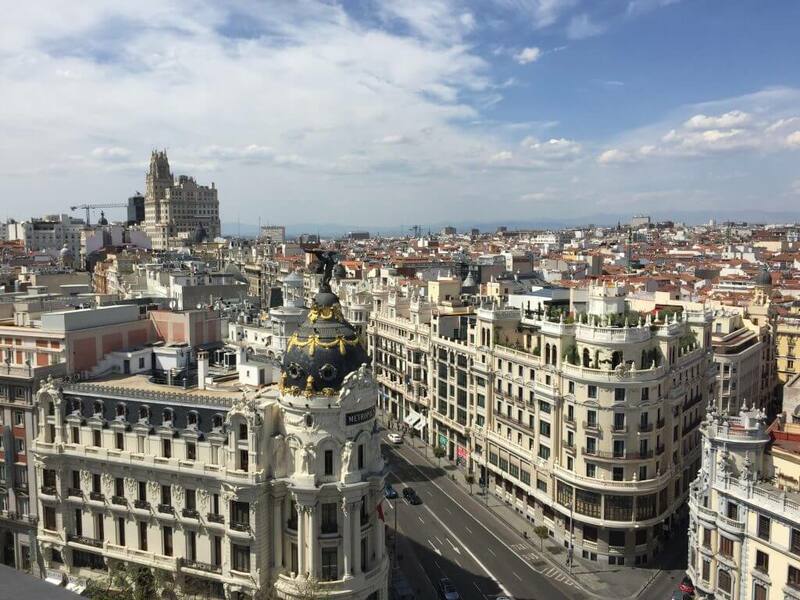 While in Madrid these first couple days, check the weather, and if it’s nice out, go to the Circulo de las Bellas Artes rooftop bar which gives you the best views in Madrid. Aside from checking out the rooftop bar, eat at the Mercado de San Miguel or Mercado San Antón, or both! 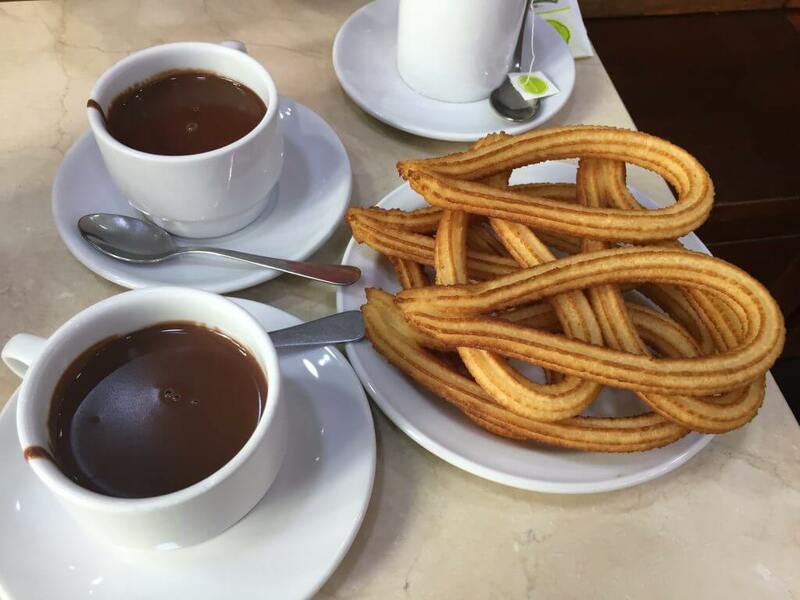 Lastly, get some delicious churros con chocolate for one day at either Chocolateria San Gines or Los Artesanos 1802 Chocolateria. At some point during your first two days in Madrid, stop by the Atocha Train Station (near the Reina Sofia) and buy a ticket to go to Toledo for day 3 of your week in Spain. *While at the train station, you can also get your tickets to Segovia for Day 4. **All the train or bus tickets can be purchased online in advance too. On day 3 of your one week in Spain, take a day-trip to Toledo from Madrid. There are trains that go directly from Atocha Train Station to Toledo. The fastest train is about 30 minutes, and the trains between Madrid and Toledo run from 6:50 am to 9:50 pm. It only costs about 10€ per ticket. Toledo is a marvelous, medieval city that was actually the Spanish capital until 1561 when it was moved to Madrid. It’s actually part of the autonomous community of Castilla-La Mancha, which is outside of Madrid. Much of Toledo still appears medieval with narrow streets and castle walls. 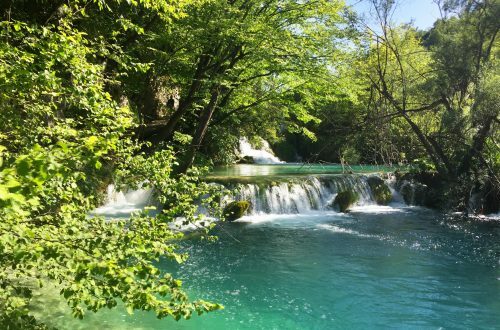 It’s amazingly picturesque and will really bring you back in time. 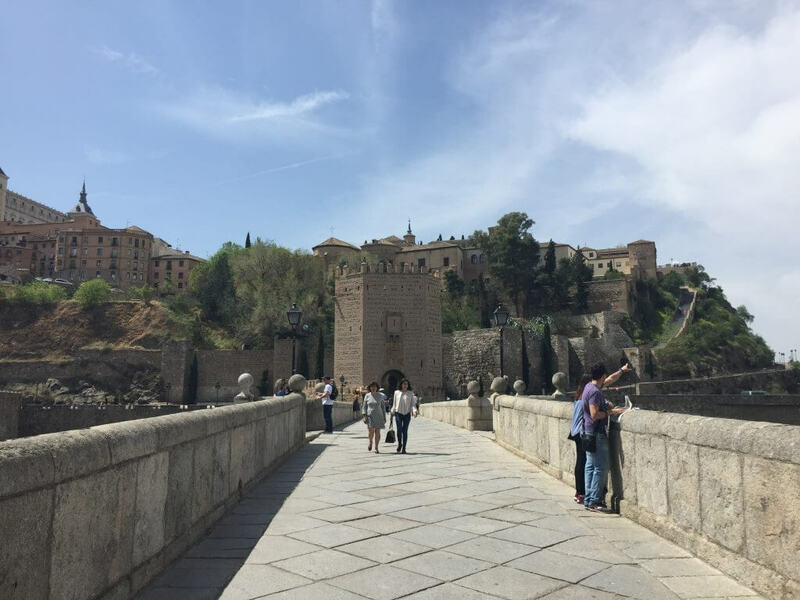 Toledo makes for the perfect day trip from Madrid because it’s so different from Madrid and so close. One day is also plenty of time to see Toledo as it’s pretty small. Once you get back to Madrid at night, head out to dinner and get either a bocadillo de calamares or go to El Tigre for drinks and FREE tapas, which might really help out your budget if you’ve overspent so far on your trip! This will be your last night in Madrid for a little now, so pack your bag and get ready to see some other places in Spain! You can either take the bus or train from Madrid to Segovia. The bus takes longer but is cheaper, so it depends if you’re on a budget. As it’s a high speed train, the train between Madrid and Segovia only takes about 30 minutes too. Segovia is a another city in Spain that’s in a different autonomous community too: Castilla y Leon. Within this one week in Spain, you’ll have visited cities in 3 of the 19 autonomous communities. Aside from simply being in another city in a different region of Spain, Segovia is a beautiful city with truly unique characteristics and places to see. There’s the Alcázar, Roman Aqueduct, and the Cathedral. All 3 are wonders in their own right, and Segovia’s Alcázar is said to have been one of the castles that inspired the Walt Disney castle! As Segovia isn’t too big, you can see all 3 in a day, but take your time and stroll through the streets and explore Segovia. When looking for what to eat in Segovia, go for the suckling pig (cochinillo), a dish Segovia is famous for. You can find it at a variety of places throughout town, but we’d recommend Mesón Don Jimeno. Go in with an appetite because you’ll get served a full course meal, including the suckling pig. It’s a little on the pricier side but is totally worth it. 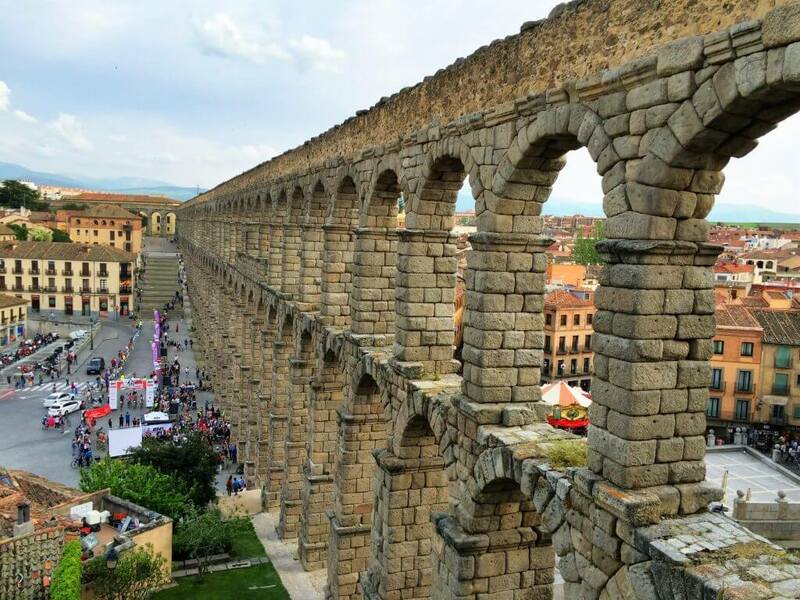 If you want to spend two full days in Segovia, it’s totally doable, but if you think one day is enough, you could do a few day trips to surrounding cities in the area. Two of the best options for day trips from Segovia are Ávila and Valladolid. Ávila is known is most famous for its well-kept castle walls which stretch on forever, or about 1.5 miles or 8,500 feet. They are probably the best example of well-conserved walls of their kind in the world. Valladolid, while a bit further than Ávila, is another city in Castilla y León. Visiting it gives you an option to see another city in Spain. 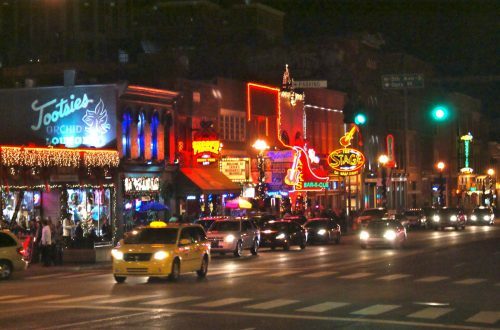 We haven’t been there, but it’s supposed to be a fun city to visit. 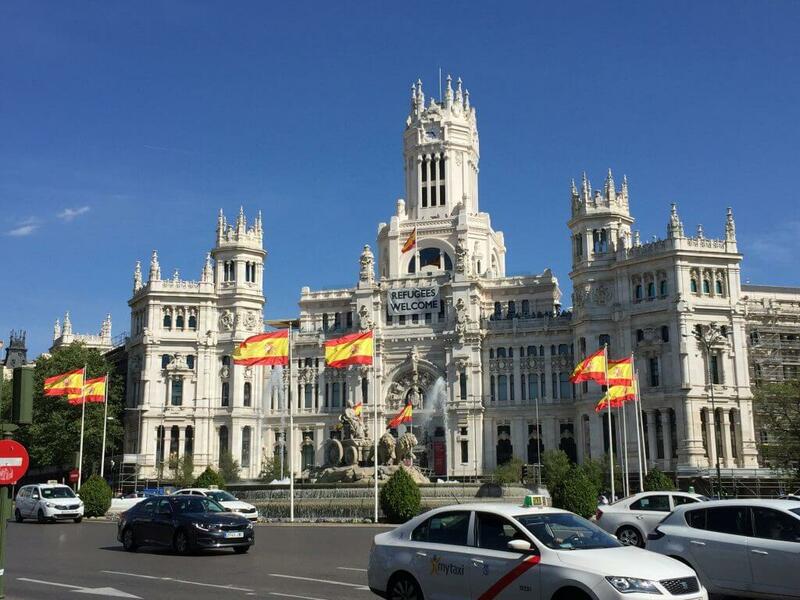 On the morning of day 6, you’ll return to Madrid for the remainder of your stay in Spain—unless you cancel your flight and decide to stay longer! Our recommendations for Madrid on your last few days are to see any of the places you didn’t see before and to check out some of the various neighborhoods, like Malasaña, Lavapies, Chueca, and La Latina. Parque Retiro is also a nice relaxing place to have a picnic or take a siesta. If you’re feeling up for another museum, be sure to check out the La Caixa Forum, which offers rotating exhibits that are free to the public. 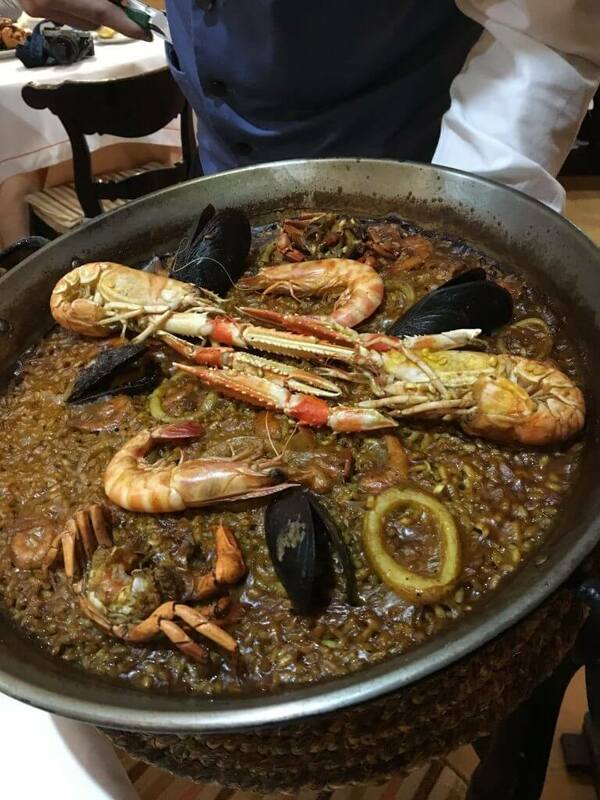 As you’re wrapping up your time in Spain, make sure to eat any of the must-eat foods in Spain you might have missed and go eat paella, something almost everyone knows Spain is famous for. 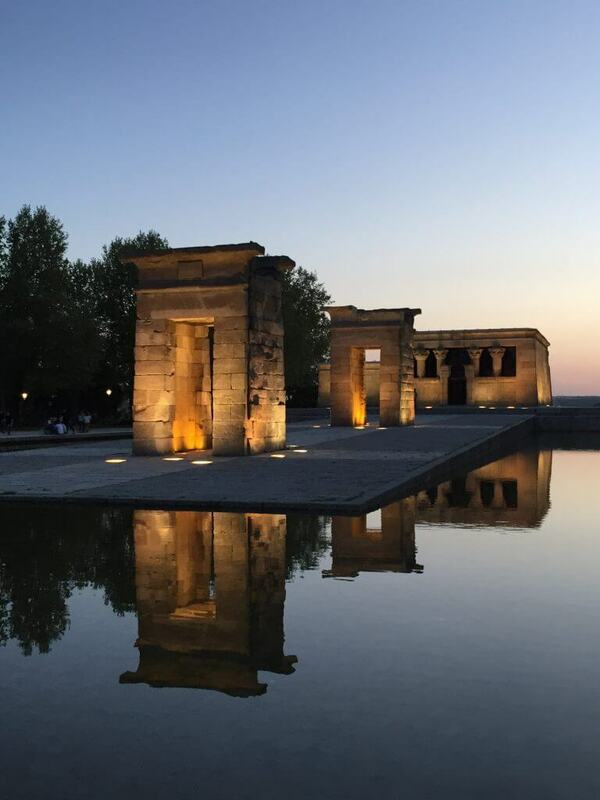 We recommend eating paella in Madrid at Casa de Valencia, and if you’re in the area, watch the sunset at Templo de Debod. It’s a beautiful, and delicious, way to end your time in Spain. Check out our post with our full recommendations for a trip to Madrid in our Madrid-specific post here. 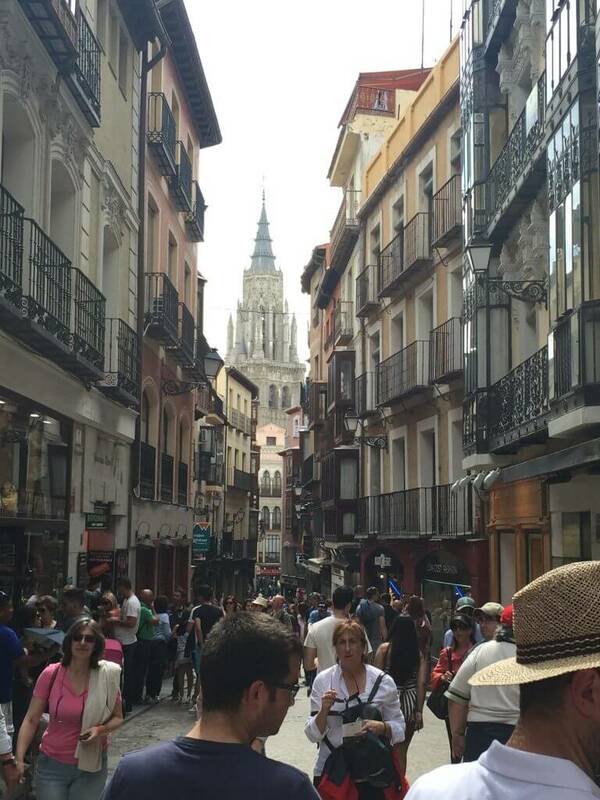 We hope you found our 1 Week Itinerary in Spain that takes you to Madrid, Toledo, and Segovia helpful. Spain has so much to offer as a country that it’s difficult to pick where to go in just one week. We’ll be positing other possible Spain itineraries that include other cities like Barcelona, Sevilla, Granada, and Bilbao, to name a few in the future, so follow along for more updates! What are your recommendations for a 1 week itinerary in Spain for around the Madrid area? Is there anything we missed? Have you ever visited these cities?